for $739,000 with 2 bedrooms and 1 full bath. This 825 square foot condo was built in 2009. 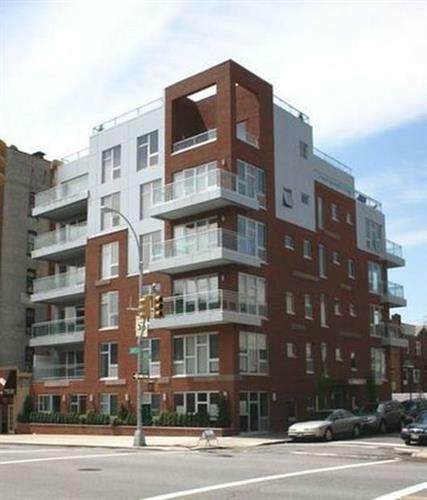 CENTO Condominium - A uniquely designed building located in one of Brooklyn's most established neighborhoods, Bay Ridge. 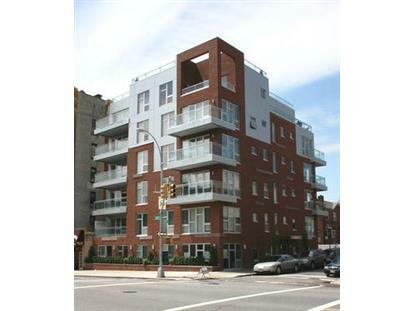 From the panoramic windows to the Roman brick and metal facade, Cento brought a new meaning of modern living in Bay Ridge. In this gorgeous 2 bedrooms 1 bath apartment, the new homeowners will enjoy the perfect color coordination of the kitchens which include custom cabinetry, stainless steel appliances, Caesar-stone counters, and glass back-splash. The bathroom is a true modern display. This beauty has all the amenities you would call home. Private balcony overlooking the majestic Verrazano Bridge, Split-System air conditioner, private state of the art gym, video intercom system, storage facilities, and a DEEDED OUTDOOR PARKING SPOT. Transportation... just around the corner. Express bus to Manhattan, NYC Transit, Easy access to all major highways, BQE, Belt Parkway and The Verrazano Bridge. Steps from the promenade where you can enjoy those early morning walk along the Shore with its bike's paths and jogging. Enjoy the Best of Bay Ridge fabulous restaurants charming boutiques excellent public and private schools. Cento is PURE MODERN LIVING, luxury, style, and sophistication.